Dogs and well behaved owners are welcome in Ice Factor. We allow dogs in the shop, café and bar. Note that dogs are not allowed in the climbing bays for their own safety and the safety of climbers. We ask that your dog is kept on a lead and are not covered in mud during his or her visit. Really nice hotel, dogs allowed in the bar area where you can have a drink or a meal. Conveniently located half way along Fort William’s High Street, The Grog & Gruel is a Traditional Alehouse and Restaurant with a warm and friendly atmosphere and a character all of its own. 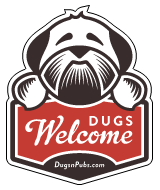 There are a total of 14 dog friendly listings in the Lochaber category. Please log in, or sign up as a member to view all listings.